The Internet of Things (IoT) has been around a long time as far as Control Solutions is concerned. 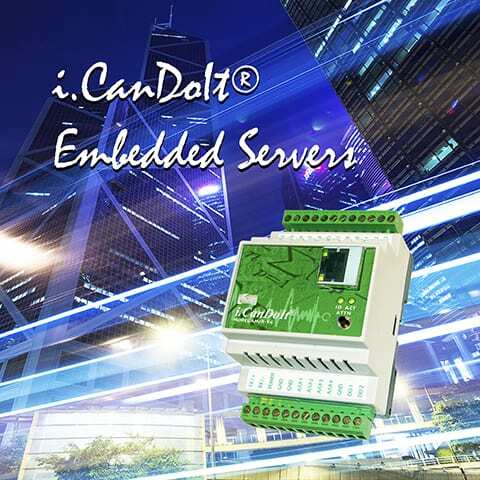 The i.CanDoIt line of embedded web servers has been putting the Internet in Things since about 2005. Whatever your "Thing" is, Control Solutions can connect it to the Internet of Things (IoT) for you! The goal of i.CanDoIt® is to provide a simple and cost effective web appliance for facility management and remote monitoring. The i.CanDoIt web servers include an impressive collection of pre-programmed web pages, but also allow the user to put a custom HTML "wrapper" around the embedded web site. The i.CanDoIt is programmable, even though it is a powerful tool without programming.